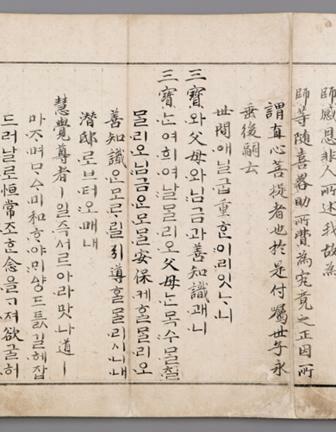 세조 10년(1464) 세조의 왕사인 혜각존자 신미 등이 학열, 학조 등과 함께 임금의 만수무강을 빌고자 상원사를 새롭게 단장하면서 지은 글로, 이 사실을 전해들은 세조가 쌀, 무명, 베와 철 등을 보내면서 쓴 글과 함께 월정사에 소장되어 전한다. 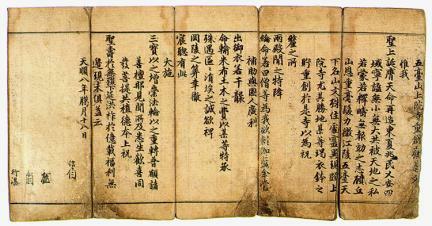 각각 한문 원문과 번역으로 되어 있는데, 신미 등이 쓴 글에는 신미, 학열, 학조 등의 수결(지금은 서명)이 있으며, 세조가 보낸 글에는 세조와 세자빈, 왕세자의 수결과 도장이 찍혀 있다. 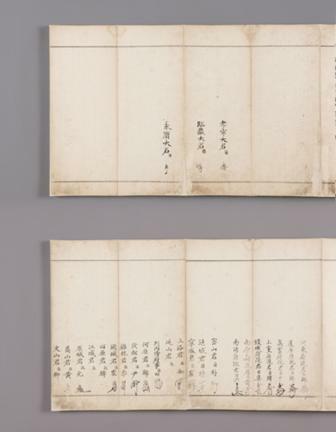 한글로 번역된 것은 가장 오래된 필사본으로 유명하다. 세조와 상원사 및 신미와의 관계를 살펴볼 수 있는 역사적 자료이며, 당시의 국문학 연구에도 귀중한 자료로 평가된다. 가장 오래된 한글 서적이면서도 보존 상태가 완벽하여 1996년 11월 28일 보물 제140호에서 국보 제292호가 되었다. 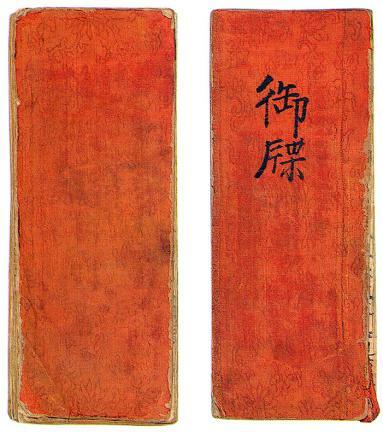 This is a book of two volumes, containing letters written by King Sejo and the replies by Hyegakjonja, Sinmi (a reverend monk, Royal Mentor). 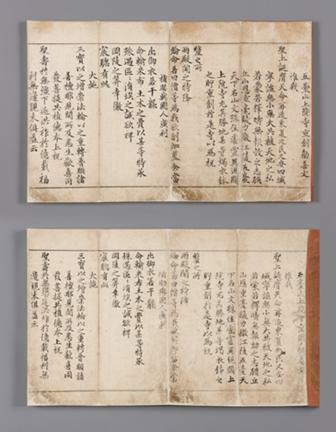 Upon hearing that Sinmi was rebuilding Sangwonsa Temple in Odaesan Mountain, wishing for the King's long life, King Sejo sent letters together with gifts of rice, cotton, hemp cloth and steel, and Sinmi wrote back to the King after receiving the royal gifts. 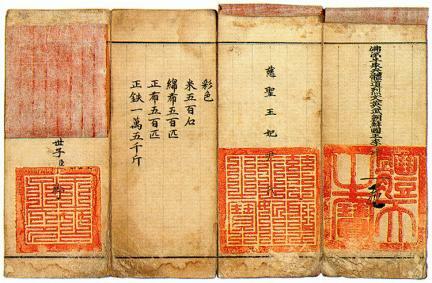 One of the two volumes, written in pure Chinese characters, features different sugyeols (a form of signature used in Joseon Dynasty before chops were widely accepted in late 19th century) of Sinmi such as 'Sinmi', 'Hagyeol' and 'Hakjo' along with sugyeols and official seals of King Sejo and the crown prince. 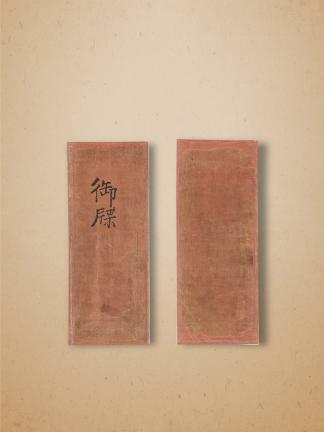 The other volume has the gwonseonmun (encouraging letter) both in Chinese characters and a translated version in Hangeul, with sugyeol and an official seal at the end. 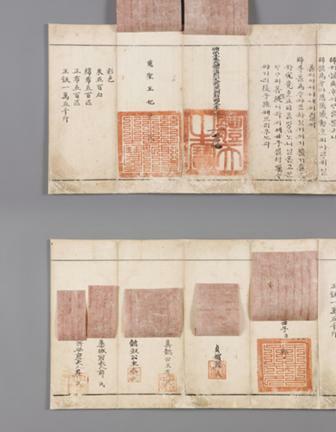 This book is an invaluable material for studies in Old Korean, offering a glimpse of the relationship between royal household and Buddhist scholars.